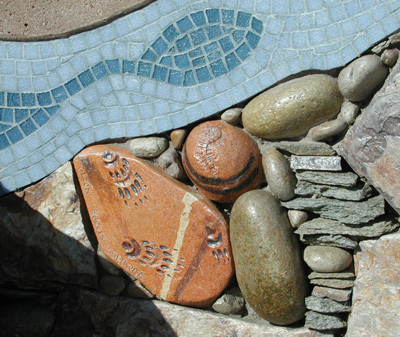 WaterMarks is a 200 ft long, semi-circular informational entry wall into Mission Trails Regional Park, a 5800 acre open space park in San Diego. 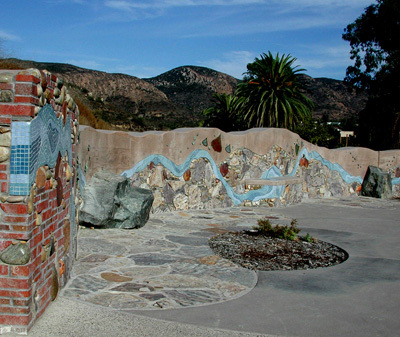 The park contains many significant Kumeyaay Indian archeological sites and is the site of the first Spanish Mission in California. The San Diego River runs through the gorge, which has been a major travel corridor for thousands of years. The colored concrete undulating wall echoes the ridgeline of the local hillside and Cowles Mt., the highest mountain in the City. 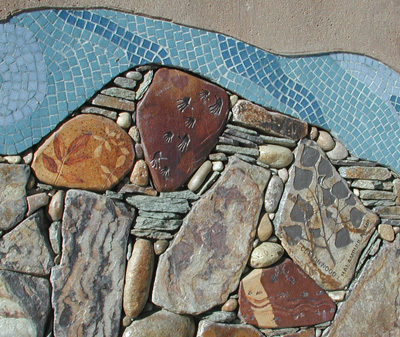 The wall is embedded with a glass mosaic map of the river, native stone, handmade ceramic tile and metal information plaques which include the geologic, animal, botanical and anthropological history of the area and along the San Diego River. 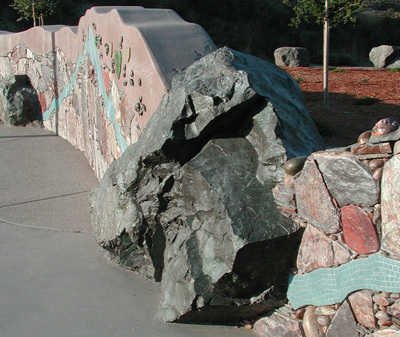 The text is in English, Spanish, ‘Iipay aa- the Kumeyaay Indian language, and Braille. 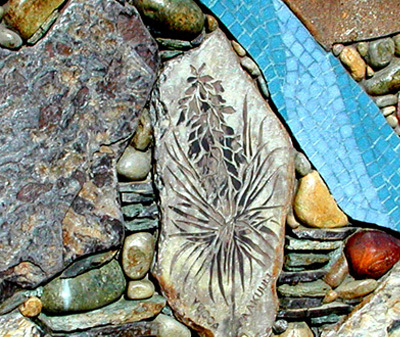 The project was completed in 2001 and was the selected winning project for "Liquid Art", awarded by Metropolitan Water District of Southern California and published in 2002 , Landscape Architecture magazine, "Mission Accomplished" and Westways magazine, "Perpetual Thirst". 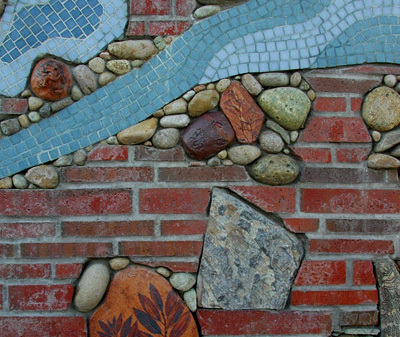 See where this is on the Art Map.